Bats. Snakes. Darkness. Water. These are just a few of the strongholds of the cave. Constructed of natural elements such as rock or glaciers, the cave can be an intimidating shelter that fills us with fear and blinds our eyes in complete overwhelming blackness. To some such as the adrenaline junkie or caving excavator, that may seem like an appetizing delectable treat that will feed the hunger for excitement of probing into the recesses of the hidden earth. For others the experience and description is unappealing. We can honestly lay aside our machismo and our three sizes too small black T and have a relaxing weekend sprawled in front of the TV taking in full compact sports. But I say unto you, get up! It’s time to embrace the wild side. I say let’s go caving. 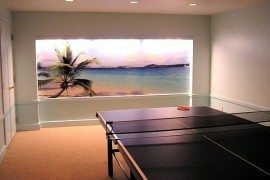 The basement doesn’t have to be a mildew attractor. It doesn’t have to be a lonely dark forgotten spot of the home where laundry is cooked in a black kettle. And under no circumstances should it represent the planet’s caverns. 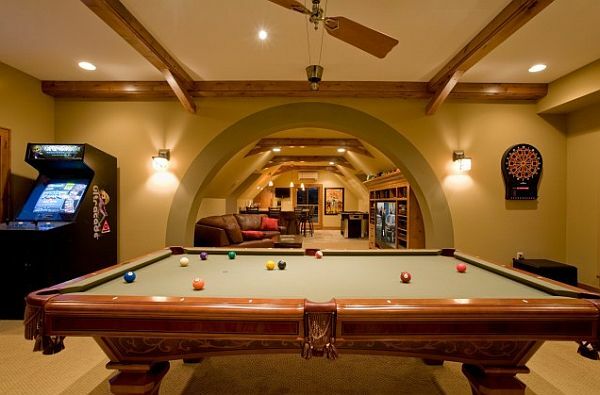 So show those spelunkers you have what it takes and turn your basement into an enviable manly man’s cave! 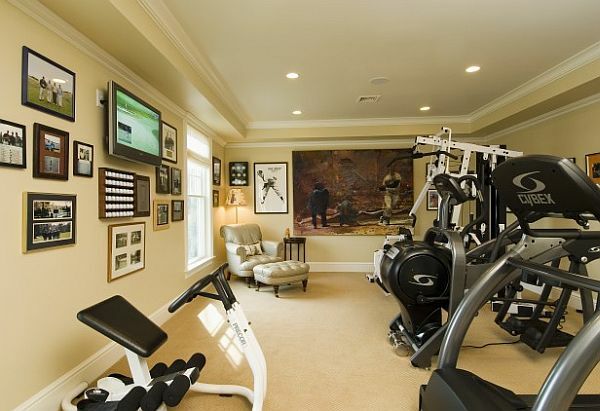 Whether you want to work out and break a sweat or have to be plugged into your large screen as tackles, touchdowns and timeouts play before your eyes then the sports arena can be proportioned to fit in your home. 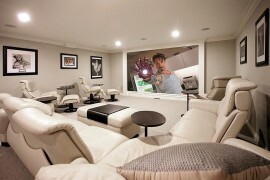 If you are bold enough to re-conceptualize the basement into a room that feeds testosterone in bite sizes in a retreat for men, then be bold. Be adventurous and make it authentic. 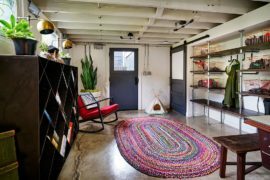 Why pick Berber carpet when you could be using real turf? Other elements you can incorporate in a sports theme is memorabilia. Not just that of your heroes but yours. 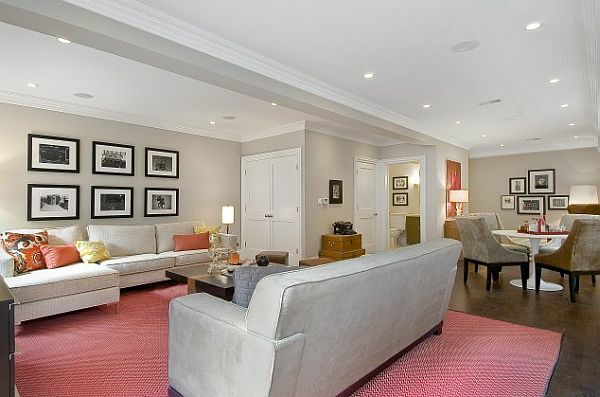 A classy display of your trophies beside a signed baseball and your décor is well established. And if you have to pin up a jersey, frame it in a display box to keep your athletic station profound. 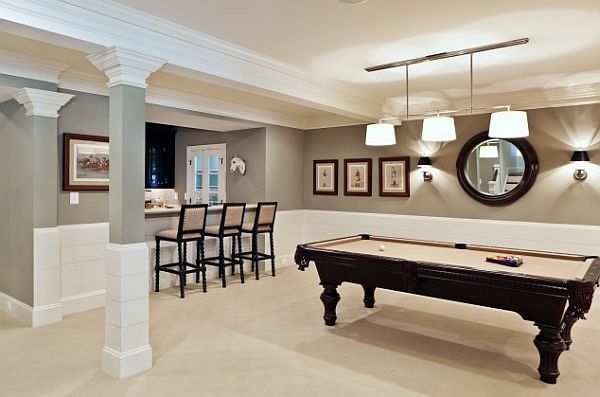 And while there is no way you can fit an entire football field in this small space bringing in a gaming table can help. Foosball, air hockey, when the pro season is out, it’s your time to shine! So bring game day alive every day with surround sound to better capture the culture of a stadium fire up the popcorn machine and enjoy life with your friends. 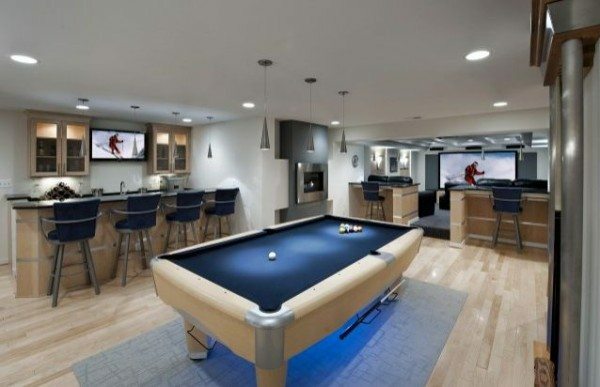 This man cave is all about refining masculinity and making your area look expensive and sophisticated. 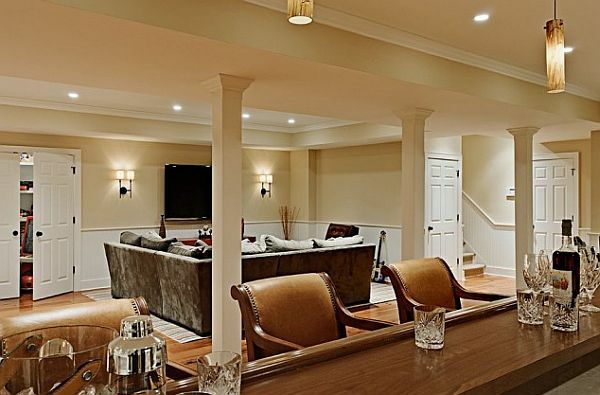 Leather seating, marble countertop bar, high plush stools, a pool table, adjustable lighting all to create an ambiance where you can relax and not be distracted by incoming emails, blaring traffic noise and sensationalized living. 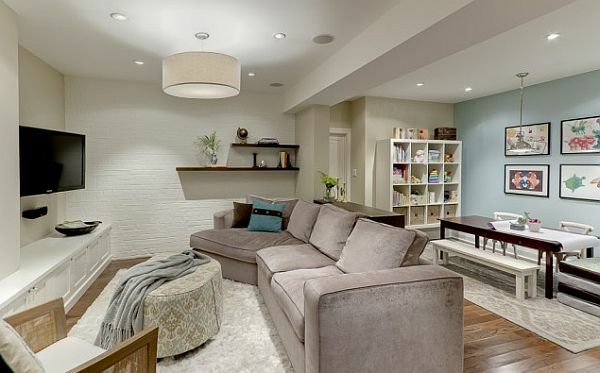 Since you have such sleek lines this room can function as a guest space, a family den or just a fun utilizable extra room. Vintage pieces. Classic pieces. Modern. Retro. 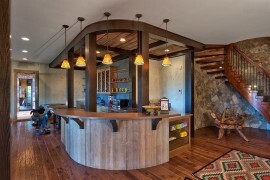 It all has a home in this lush room with its state of the art entertainment system and fully stocked snack bar. Because let’s face it. Caving works up an appetite. For all the little boys stuck in a man’s body this is your kingdom. 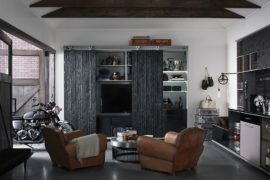 Here you also will have a gaming table but you’re focal point is an over sized full wall flat screen TV, surrounded by rows and rows of game console editions arranged alphabetically, categorically or just stuck in empty slots. Also you will need a wide spectrum of consoles. From the ancient Atari to the latest PlayStation and Wii you are fully stocked on the coming and goings of this gaming industry and if your heart desired could start a franchise of GameStop straight from your game cave sanctuary. 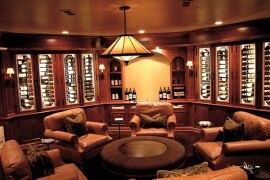 Comfortable and easily moveable seating is essential to a cave of this magnitude and prospects. When competition night is hosted at your address, and the room fills with fingers flexed ready to compress the buttons on their remotes and minds filled with cheat codes, comfortable arrangements will ease the tension of Winners v. Losers. Add the final component via a Pac Man arcade station and it’s Game On! It takes smarts to follow sports, to win a video game and to hold and carry a stimulating conversation but sometimes the mind just needs to be surrounded with brain food. A walnut corner desk, massaging, rolling desk chair, bookshelves lined with series on all topics and exceptional Wi-Fi coverage are the beginning tools needed for this caving expedition. Think library with a twist of museum; the greatest inspiration in the room being a scaled down statue of Rodin’s The Thinker. Here you can share your worldwide-acquired artifacts and souvenirs that challenge the mind. Walls filled with photographs of earth’s wonders and the people who roam the sphere we call home. A place of learning and the learned with plush carpeting and the most relaxing lazy boy that has a special destination for your feet to kick up and fill the automatically dispensed air freshener room with the fine scent of eau de shoeless. In these havens from mayhem we can end or even start the day with the great wild cave enclosing us in its four masculine walls that don’t grimace at burps, spills or the snores of the male gender. 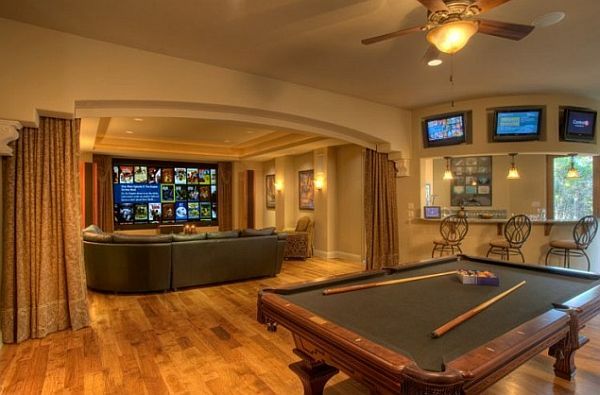 You are now an aficionado spelunker…of the man cave.